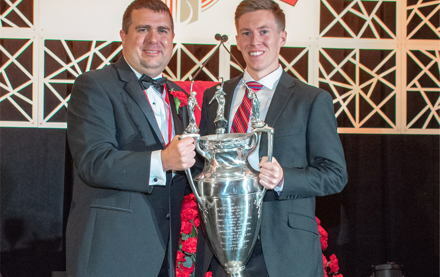 Theta Chi Fraternity presented Carter Lyons (Gamma Phi/Nebraska Wesleyan 2019) with the 2017/2018 James Ralph “Shug” Jordan Award during the 162nd Anniversary Convention in Las Vegas. 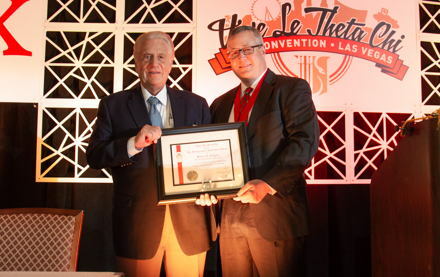 On July 29, 2018, during the 162nd Anniversary Convention in Las Vegas, Theta Chi Fraternity presented the Distinguished Achievement Award to Bill Dahlgren (Beta Lambda/Akron 1955). 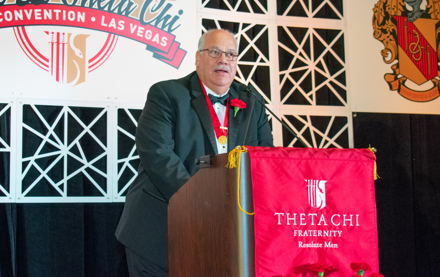 Theta Chi Fraternity is proud to announce that Dan Markwell (Eta Gamma/Morehead State 1992) is the recipient of the 2017/2018 Sidney Ann Gilpin Lewis Memorial Trophy. 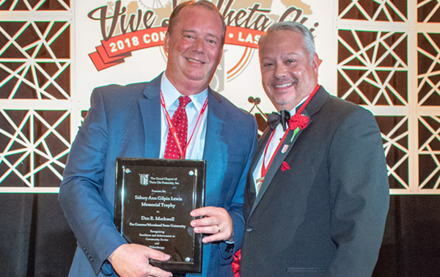 Kirby V. Montgomery (Alpha Phi/Alabama 1975) has been named the 2018 recipient of Theta Chi Fraternity’s Distinguished Service Award, the highest honor that the Fraternity may confer upon a member. 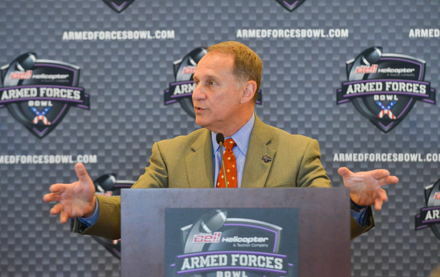 Keith Hackett loved his time as athletics director at the University of Alaska-Anchorage, calling the state “one of the most beautiful places on our planet.” But Cornell College, where he took over as AD earlier this month, is more like home. 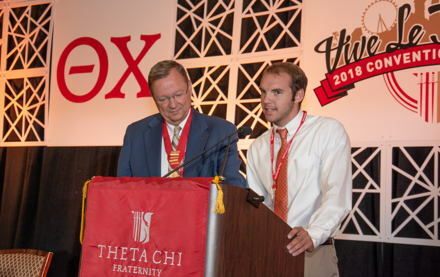 Theta Chi Fraternity is proud to announce Brandon McCoy of Iota Beta Chapter at Missouri State University as the recipient of the 2018 Reginald E.F. Colley Award. 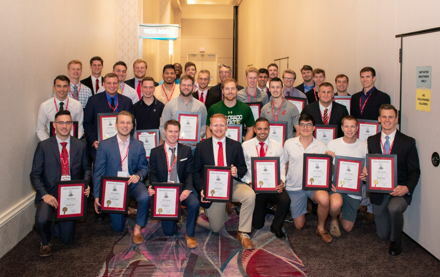 Theta Chi is pleased to announce the 2017/2018 recruitment award recipients. 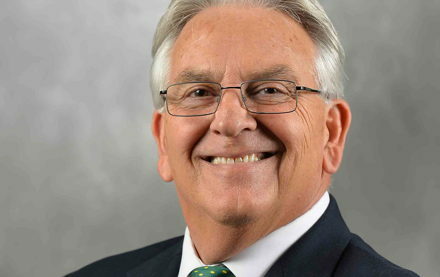 The James M. Holland, Phil S. Randall, and Henry B. Hersey awards were created to recognize and honor the Fraternity’s top recruiting chapters for the previous academic year.